Spent weeks planning the perfect summer holiday with your family, but forgot to give a thought to your holiday wardrobe? Our holiday style guide has you covered, whether it’s your day at the beach, one spent exploring the city on bicycles, a day shopping at the flea market, or an evening at the restaurant by the poolside! The perfect cover-up once you’re out of the water, this white dress is ideal for a day at the beach. Pack some fun hair accessories, a pretty scarf and a pair of silver anklets in this embellished cotton bag, to brighten up the dress for the evening. Play on color with this vibrant ensemble for a day spent exploring the city. 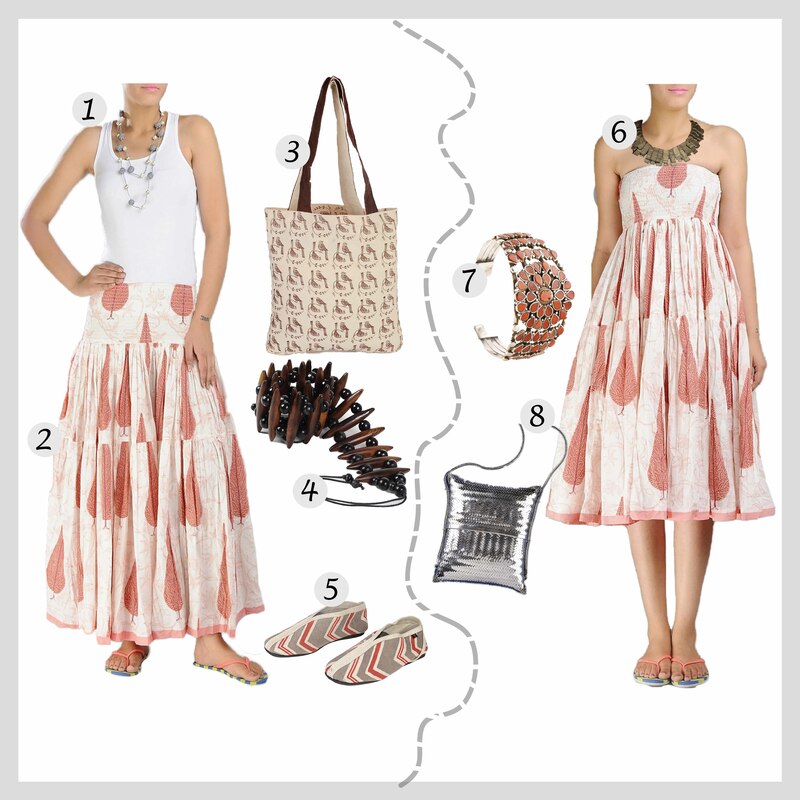 Wear a khadi peplum top with a printed sarong skirt, a tribal bag and jewelry. 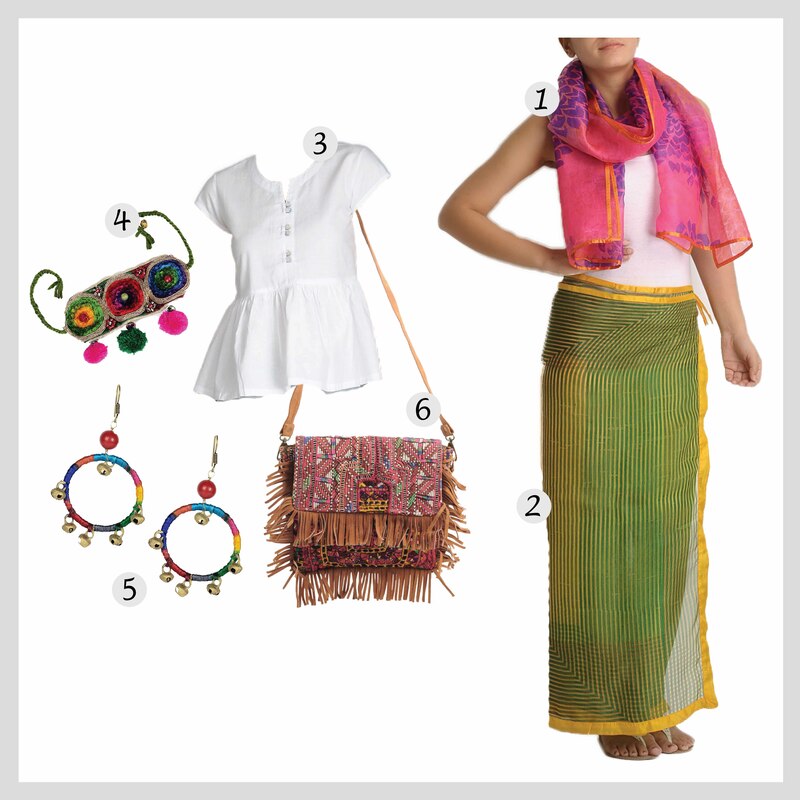 Complete the look with a colorful scarf that doubles up as sun protection during the day! This one is our favorite! Wear the cotton skirt with a summer top for the day and pull it up to wear it as an off-shoulder dress for the evening! 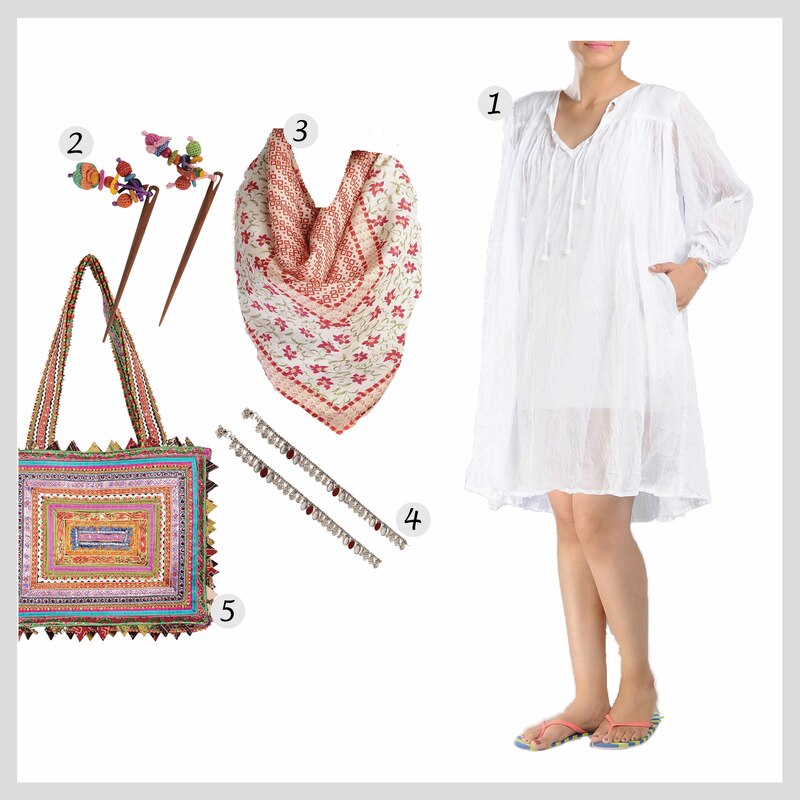 Style the day look with printed linen footwear, a pearl necklace, belt, and a tote bag. Transform your look with a choker, silver clutch and a tribal cuff for the evening. Cycle through an apple orchard till you find a spot so pretty, that you have to stop for an unplanned lunch, of apples of course! 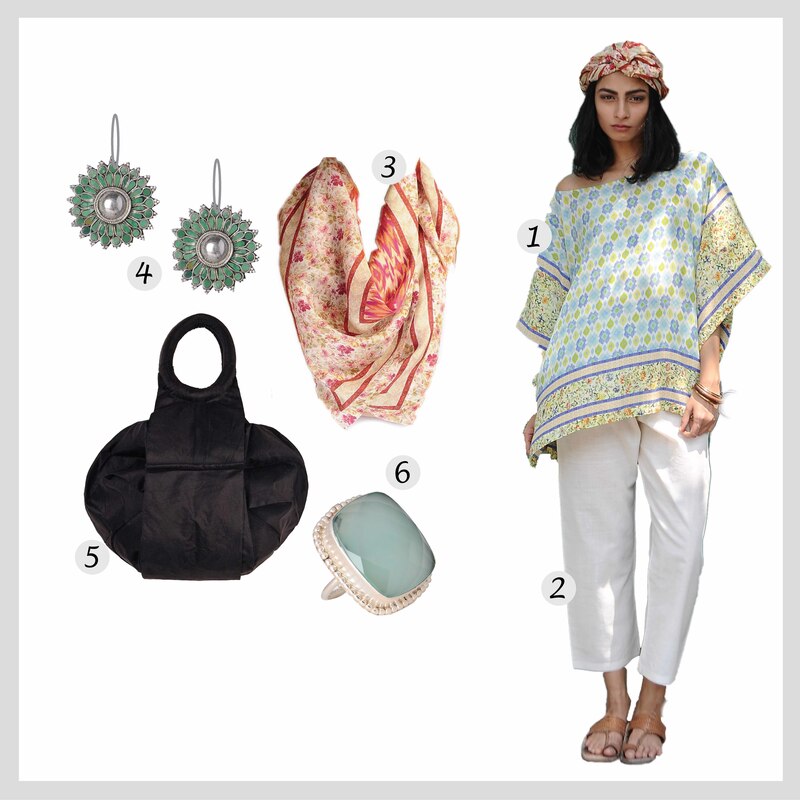 This printed kaftan, tie-up linen pants, scarf tied as a turban, cotton-silk bag ensure you’re comfortable and stylish for all that adventure. Add a pair of earrings and a ring for added color. Holiday packing is never complete without a pair of stylish formals. 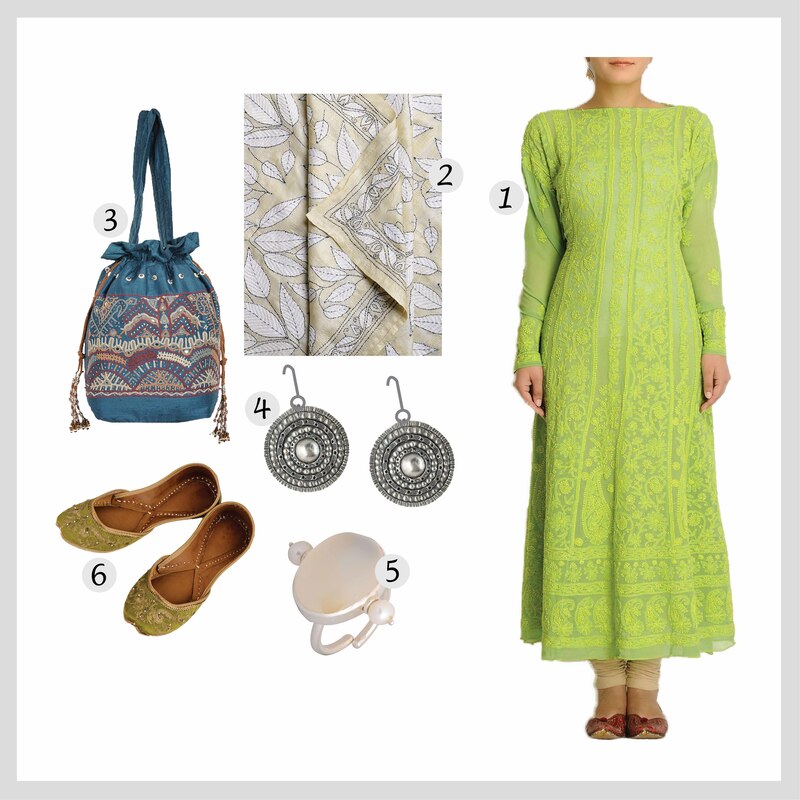 Dress elegant in this lime-green chikan embroidered kurta, and complete the look with a stole, ring, earrings, potli bag and leather juttis. Posted in fashion, holiday, style and tagged 2015, colorful, Colors, Cotton, Dress, family, fashion, Guide, handcrafted, Holiday, khadi, pack, skirt, style, Summer, Tips, tote, vacation. Bookmark the permalink.